By Paul Richter and David S. Cloud:A burst of deadly violence against demonstrators in Bahrain has left the Obama administration again confronting the awkward task of trying to stabilize an essential allied government besieged by growing opposition from its citizens. A tiny monarchy in the Persian Gulf, Bahrain does not have the size or cultural importance of Egypt, whose president was forced out by demonstrators one week ago. Yet Bahrain is home to the U.S. Navy's Fifth Fleet, and the fall of its government could scramble the strategic order in the Middle East, potentially weakening U.S. leverage and leaving Iran in a stronger position. In an acknowledgment of the kingdom's crucial role, Secretary of State Hillary Rodham Clinton, Defense Secretary Robert M. Gates and other officials rushed to reach out Thursday to Bahraini officials, urging them to halt the violence and to quickly adopt political reforms that could satisfy the protesters. Fifth Fleet headquarters in Bahrain, commanded by Vice Admiral Mark I. Fox, controls U.S. naval ships and aircraft operating in the Persian Gulf and the Indian Ocean. Most months of the year, there are dozens of the U.S. naval vessels in the region. The Fifth Fleet's broad mission is to protect the flow of oil and, in case of a military crisis with Iran, to keep open the Strait of Hormuz, the 29-mile choke point near the entrance to the Persian Gulf. More than 20 percent of the world's petroleum shipments travel through the strait. "The importance of the Fifth Fleet's mission cannot be overstated," said Mark Kimmitt, former deputy director for operations for U.S. Central Command and a former senior State Department and Pentagon official. "They have the mission to keep the Persian Gulf open, defeat terrorism, prevent piracy and respond to crises, whether environmental, security or humanitarian. "Few commands worldwide have as many daily challenges and responsibilities as the Fifth Fleet." The administration carefully crafted its outreach to Bahrain's leadership, deploring the violence by security forces that killed at least five people, but stopping short of condemning the government. The U.S. appeared to be striving, as it did in the early stages of the Egyptian crisis, to leave the Bahraini government room to work out a solution. Clinton, in a call to Foreign Minister Sheikh Khalid bin Ahmed al-Khalifa, voiced "deep concerns" about the security forces' violent crackdown on Thursday, and warned against more violence on Friday, when there would be "funerals and prayers." But the U.S. message to Bahrain differed from how it approached Egypt in a key way: While Cairo for decades had resisted reforms, Clinton praised Bahrain as a "friend and ally" that has taken some steps to reshape its government. She urged "a return to the process that will result in real, meaningful changes for the people there." In a visit to Bahrain in December, Clinton praised King Hamad bin Isa Al Khalifa and said she "was impressed by the commitment that the government has to the democratic path that Bahrain is walking on." The U.S. knows its handling of Bahrain is under scrutiny by other Middle Eastern allies, who saw the Mubarak regime tumble in Egypt and questioned whether the United States would support them if they faced similar unrest. Some analysts are predicting that Saudi Arabia, worried that Iran could emerge with a new ally if Bahrain's Shia majority topples its Sunni monarchy, would send an armored column across the 16-mile causeway to Bahrain if it thought the government was teetering. The Saudis "see this as their sphere of influence," said David Schenker, a former Pentagon official now at the Washington Institute for Near East Policy. U.S. officials declined to offer details on their conversations with the Saudis about Bahrain. A U.S. defense official said the protests were causing U.S. military officials to review backup plans in case the U.S. was asked to leave Bahrain. Pentagon officials said U.S. naval vessels also put in at several other ports in the Gulf, including Jebel Ali in Dubai. But another senior military officer said, "We're not at that point right now. We have no indication that any of this is directed at Americans or American interests." Tags: Bahrain, unrest, Persian Gulf, United States, US Navy, Fifth Fleet headquarters, strategic location, To share or post to your site, click on "Post Link". Please mention / link to the ARRA News Service. Thanks! Americans for Prosperity: After President Obama called for a "serious" conversation about the budget, democrats bring out a cartoon aardvark to advocate for more wasteful spending. Let's hope this isn't their version of serious. Defund Subsidized Aardvark, PBS and NPR! Tags: AFP, Americans For Prosperity, PBS, Arthur the Aardvark, Arthur, Obama budget, Defund PBS, NPR To share or post to your site, click on "Post Link". Please mention / link to the ARRA News Service. Thanks! Redistricting requires that every Arkansas state senator be elected in 2012. Arkansas conservatives (who are the clear majority in the State) will have an uncommon and extraordinary opportunity in 2012. According to Arkansas’s State Constitution, representatives stand for election or re-election every two years and may serve a maximum of three terms. But Arkansas’s state senators are elected for four-year terms and may serve only two consecutive terms. Except in the general election immediately following re-districting (or “reapportionment”). Every state is allowed two U. S. Senators regardless of the state’s population, so U.S. Senators are unaffected by the census or reapportionment. According to the 2010 census, northwest Arkansas’s population grew dramatically in the last 10 years, central Arkansas’s population increased by less than 10%, but the population in eastern and southern Arkansas generally decreased. To meet the Constitutional requirement of equal representation following these population changes, the lines demarking each congressional district must be redrawn. The Third Congressional District (northwest Arkansas) will have to “shrink,” covering less area and therefore including fewer people than currently. The Fourth Congressional District will have to be enlarged, covering more area and therefore including a number of people approximately equal to the new Third Congressional District. In short, the lines demarking each congressional district will have to be changed, making the topographical areas of each district different from their current size, but making their populations adequately equal to meet Constitutional requirements. Arkansas representatives will be affected by re-districting in that their districts will be either topographically larger or smaller and will have, to some extent, different constituents than when they were elected. Redrawing Arkansas’s Legislative Districts a Significantly Different Matter Arkansas’s state legislature is composed of 35 senators and 100 representatives, so the State has 35 senate districts and 100 representative districts. Article 8 of the Arkansas Constitution (as amended by Constitutional amendments 23 and 45) institutes a “Board of Apportionment” and requires this Board to reapportion each of these 135 districts immediately following the decennial Federal census. The Arkansas Board of Apportionment is composed of the Governor, the Secretary of State and the Attorney General. In 2011, the Board’s members will be Governor Mike Beebe (D), Secretary of State Mark Martin (R) and Attorney General Dustin McDaniel (D). The Arkansas Constitution (Article 8 as amended) requires that every Arkansas senator be elected by the constituents in their (possibly) redrawn districts following reapportionment. Because state representatives are elected every two years anyway, all 100 state representatives and all 35 state senators will be elected in the next general election in 2012, a phenomenon that only occurs once every ten years. Even state senators who were elected to a four-year term in 2010 will be required to stand for re-election. But all state senators elected in 2012 will not initially serve four-year terms. After their election, senators will “draw lots” to determine which will immediately serve two year terms and which will serve four year terms. Those who initially serve two-year terms will not have their two-year terms “charged” against their normal eight-year terms limits, so some senators elected in 2012 will be able, if re-elected, to serve for ten years in the Arkansas Senate. Normally, only one-half of Arkansas’s state senators will be up for re-election. But the general election in 2012 gives conservatives an extraordinary opportunity to make prodigious gains in electing constitutionally faithful state legislators who will aggressively limit the size and growth of an otherwise burgeoning state government. Tags: Arkansas, redistricting, senators, representative, U.S. Constitution, Congressional Districts, Arkansas Constitution, Curtis Coleman, Arkansas Constitution, Arkansas redistricting, Board of Apportionment, census, Congressional Districts, Legislative Districts, State Agencies and Governmental Affairs Committee To share or post to your site, click on "Post Link". Please mention / link to the ARRA News Service. Thanks! by Gary Bauer: Wisconsin was paralyzed by protests yesterday. Rep. Paul Ryan (R-WI) quipped, "It's like Cairo has come to Wisconsin." What's going on? Wisconsin, like almost every other state, is struggling to get its spending under control. Faced with a $3.6 billion deficit and unable to print his own money, Governor Scott Walker (R) is taking action to get Wisconsin on a path to fiscal stability. He is courageously taking on the state public employee unions by asking them to contribute more to their extremely generous pensions and benefits packages. In response, the unions have taken to the streets, just as they did in Greece. There are several disturbing aspects of the circus atmosphere that we are witnessing in Wisconsin. Republicans won the November elections in a stunning state-wide sweep. The people voted for change, but Wisconsin Democrats aren't taking November's exercise in democracy well. Rather than doing their jobs, Democrats fled the state yesterday to prevent a quorum in the state Senate, essentially holding the legislative process hostage. One Democrat reportedly called into CNN with a "list of demands." Don't miss the real story. The turmoil in Wisconsin is being actively encouraged by the national Democrat Party, as the Daily Caller reports. Today's Washington Post reports, Organizing for America, President Obama's community organizing group, has helped mobilize thousands of the demonstrators. This shows how the left thinks strategically and never, never gives up. Wisconsin is a key state, and if Obama loses it in 2012, he will likely lose the White House. So Democrats are pouring resources into the state, stirring up trouble for the Republican governor and legislature. President Obama has added his voice in support of the protestors, accusing Gov. Walker of launching an "assault on unions." He can't speak up to defend democratic protestors in Iran, but he'll welcome the chaos in Cairo and defend his union allies in Wisconsin. President Bush almost never commented on state disputes. But this president has routinely jumped into the middle of state battles. Remember when he jumped into a dispute between a police officer and an elitist college professor? Without any facts, Obama sided with the professor. When Arizona wanted to protect its residents and stop illegal immigrants from entering the state, Obama sided with the illegal immigrants. When Wisconsin tries to rein in out of control costs, Obama sides with the unions against the taxpayers. Obama has lectured us continually on the need to "invest" in education, warning that China and others are outpacing us. 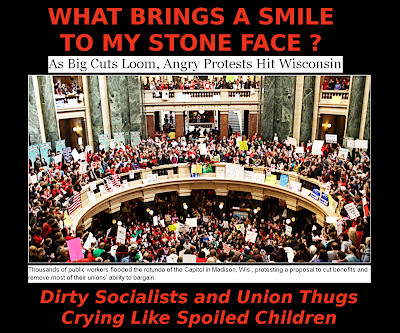 But in Wisconsin yesterday, more than a thousand teachers walked out of their classrooms or called in "sick." Many exploited the children under their supervision by taking them to these demonstrations. And our president, who says he cares so much about the kids, can't utter one word to urge these teachers to get back into the classroom. Wisconsin is not alone in facing tough financial decisions. But according to multiple press reports there are union protests now in Indiana, Michigan and Ohio, with more union unrest planned in Missouri, New Jersey and Pennsylvania. We watched as left-wing unions took Greece to the verge of anarchy. But the commentators assured us that such things wouldn't happen here. Thanks to the unions, they are happening now. Conservatives must hold their ground. The assault on our values will continue until men and women who cherish faith, family and freedom stand up and fight back. Tags: Gary Bauer, Campaign for Working Families, Wisconsin, Governor Scott Walker, stopping overspending, debt, radical liberals, leftist, unions, America, Greece, To share or post to your site, click on "Post Link". Please mention / link to the ARRA News Service. Thanks! Rasmussen Reports: In response to DOJ challenge to its effort to crack down on illegal immigration, Arizona has sued the federal government for failing to enforce immigration laws. Most voters continue to support Arizona’s new immigration law and strongly believe states should be able to fight illegal immigration if the federal government is not. - 67% of Likely U.S. Voters – two-out-of-three – think a state should have the right to enforce immigration laws if it believes the federal government is not enforcing them. - 22% disagree and say states should not have that right. - 49% federal government should reimburse states for expenses incurred as a result of illegal immigration. - 30% government should not reimburse states - 21% are not sure. Tags: Rasmussen Reports, immigration law, Arizona, AZ, states enforce laws, DOJ, illegal aliens, illegal immigration To share or post to your site, click on "Post Link". Please mention / link to the ARRA News Service. Thanks! This week, the House Transportation and Infrastructure Committee, chaired by Republican John L. Mica (FL), voted to give the National Gallery of Art more space across Constitutional Avenue in the building that headquarters the Federal Trade Commission (FTC). The massive historic building has 306,000 square feet and would allow the Gallery to expand exhibitions and educational programs and to provide office space and storage for the art collection. The estimated funding of $200 million to renovate the building and exhibits will paid for by "private" funding. In addition, the taxpayers will save $145 million a year, a 10 yr savings of $1.45 billion, which is currently paid to lease 60,000 square feet of supplement space for the National Art Gallery in addition to its two national landmark buildings. FTC officials / bureaucrats are not too happy to relocate their headquarters to one of their other government buildings. They argued that the the government will incur costs to replicate their present functions at the new location. However, it is not expected that these relocation costs under Republican oversight would be near Savings for even one year that is spent on renting supplemental space for the present gallery. The Committee also passed a resolution giving the General Services Administration (GSA) the authority to go ahead with the plan. A Senate committee has to pass the same resolution before the GSA can go ahead with the move. Approval by the White House is not needed as oversight of all government property in Washington, D.C. is controlled by Congress. In conclusion, if this action moves forward, this committee will not only have saved millions for taxpayers but will have facilitated the creating of new jobs paid for by private funds to renovated the old FTC building for the National Art Galley. Conservatives love art as much as liberals. However, conservatives are focused on solutions, saving taxpayers money, and creating jobs. Maybe it is time for the committee responsible for oversight of the Federal Trade Commission (FTC) to examine the operation of the FTC to see if they could trim their operation as the relocate their headquarters and hopefully combine operations. Tags: US House, Republicans, House Transportation and Infrastructure Committee, national Gallery of Art, buildings, expansion of gallery, saving money, Federal Trade Commission, FTC, relocation, To share or post to your site, click on "Post Link". Please mention / link to the ARRA News Service. Thanks! Last night, the U.S. House voted to reverse the compromise Net Neutrality rules passed by the FCC in December. The House is also involved in a marathon debate which includes 583 amendments on a government funding bill that would cut up to $100 billion off of President Barack Obama's federal budget for the current fiscal year. Today, the House passed (240-185) the amendment to end federal funding for abortion provider Planned Parenthood. Ten Democrats joined all Republicans except seven voted to end funding. The measure will eliminate about $330 million through the end of September for "preventative-health services" at Planned Parenthood clinics across the country. While Planned Parenthood may not use funding for Abortions they are able to to underwrite their other cost of operations with the addressed Federal funding. The House must still vote for final passage on the underlying spending bill before the cuts head to the Senate for a possible vote if Sen. Majority Leader Harry Reid schedules a vote on the bill. The House also voted (239-187) to block funding to implement Obamacare - the nation’s health care law. The House voted to prohibit any funds be used by the Internal Revenue Service to carry out the law’s mandate that Americans buy health insurance and approved a plan to not pay the salaries of any federal employee involved in implementing the health care law. The House is is expected to vote to eliminate funding for the Corporation for Public Broadcasting. Yesterday, the Senate passed (87-8) the two-year, $34.5 billion FAA Authorization Bill. The Senate bill also allocates $200 million annually to the Essential Air Service program that subsidizes airline flights to rural communities across the US. Sen. John McCain (R-AZ) proposed an amendment to kill the EAS program but it was voted down. The FAA bill must now be considered by the House who has its own proposed four-year, $59.7 billion bill which passed the House Transportation and Infrastructure Committee on Wednesday and calls for phasing out EAS. Tags: Washington, D.C., US Senate, US House, FAA Bill, defund, obamacare, Planned Parenthood, Net Neutrality, reduced spending To share or post to your site, click on "Post Link". Please mention / link to the ARRA News Service. Thanks! Tags: Andrew Klavan , commentary, humor, satire, truth, video, PJTV, Bill Maher, Keith Olbermann, Michael Moore, Ed Schultz, Anderson Cooper, Rachel Maddow To share or post to your site, click on "Post Link". Please mention / link to the ARRA News Service. Thanks! The NRSC: Today marks the 2nd Anniversary of Barack Obama’s failed stimulus. As Obama pushes his new spending plan this week, we wanted to remind Americans to be prepared for more of the same broken promises we have heard before. Video reviews those complimenting the Obama Stimulus bill and the actual accompanying facts. Tags: IBarack Obama, stimulus, anniversary, failure, video, NRSC To share or post to your site, click on "Post Link". Please mention / link to the ARRA News Service. Thanks! So what really is the difference between rulers and representatives? Maybe the biggest and most profound difference that hits oh so close to home is that rulers insinuate things like only their ideas will work and everyone else should just go along to get along. Representatives, on the other hand, continually look for ways to aide those that elected them. In Arkansas, hope burns bright for representative government. Growing numbers of Arkansans are refusing to turn from their commitment to conservative values. While formulating positions on numerous issues and responding to the politics of Little Rock, they note that the Governor does not represent them when acting as a master or ruler. Fortunately, the days of plantation politics are waning but not fast enough for an awakened citizenry who are also not interested in exchanging political labels in lieu of ending politics as usual. Arkansans want the size of government programs reduced and streamlined and some programs or processes ended. They want the full restoration of their rights and very limited government access to their property and resources. As the legal owners of their property, they do not want their state or the federal governments taking and redistributing their property and wealth to others. They are very concerned that the Governor and others in Little Rock have refused or failed to protect the rights and independent actions of Arkansas as a sovereign State under the 10th Amendment of the US Constitution. Governor Mike Beebe would be wise in his final term of office to cease all aspects of "plantation politics" and to become the chief servant of the people of Arkansas. He should cease all efforts to control the people or their elected representatives. The days of the Clintons are past! For the welfare of Arkansans, Gov. Beebe should lead in standing for Arkansans against the attacks of Federal progressive socialism. By Elizabeth Almond: So what really is the difference between rulers and representatives? Maybe the biggest and most profound difference that hits oh so close to home is that rulers insinuate things like only their ideas will work and everyone else should just go along to get along. Representatives, on the other hand, continually look for ways to aide those that elected them. In Arkansas, we have such an example. In an article featured in Arkansas Business, Governor Beebe seems to imply that because those pesky Representatives want to give the people what they want (i.e. tax cuts and the chance to make Arkansas more competitive in business) he might just let it happen to teach us all a lesson that he knows best. Essentially our Governor just doesn't get why in the world those pesky Legislators aren't blindly falling in line. Maybe Arkansas Legislators understood the mandate voter's made in November. The voters are, after all, who hired them all in the first place. And maybe - just maybe - the Governor and those of a like mind should be reminded of that. Mike Beebe On Tax Cuts: 'Everybody's Got To Be Responsible'Arkansas lawmakers recommended cutting taxes on manufacturers' utility bills, capital gains and single parents' income on Tuesday, defying Democratic Gov. Mike Beebe's warning that such cuts would reduce state revenues by $60 million over the next two years and hurt state services. Beebe said he was considering allowing the tax cuts, if they pass both chambers, to go into law without his signature to force lawmakers to decide which programs to cut to pay for them. "This is not an exercise for somebody to vote to cut taxes and hope that somebody else fixes it for them. Everybody's got to be responsible," Beebe said. "My inclination is probably if that's what they want to do and they want to make the cuts, the only way the people are ever going to know what that really means is to let it happen." The tax cuts advanced by the House Revenue and Taxation Committee would reduce state revenue by $7.5 million in the fiscal year beginning July 1 and $52.5 million the following fiscal year. They now head to the House for a vote. The most expensive of the proposals would eliminate the capital gains tax on new investments in Arkansas companies and property. The Arkansas Department of Finance and Administration said the proposal would cost the state $44.5 million when it went into effect in the 2012 tax year. State officials have said it would cost $68.5 million annually in the following years. Rep. Ed Garner, the capital gains tax cut's chief sponsor, said he thinks the state is overstating the revenue impact and officials haven't taken into account jobs he says would be created by cutting the tax. "This puts us in a competitive situation with our surrounding states to move out of this slow economic environment with job growth," said Garner, R-Maumelle. Garner's proposal had the backing of the state Chamber of Commerce, which also advocated for the cut in the manufacturers' tax on utility bills. Advocates for low-income Arkansans, however, opposed the cut, saying it would benefit only the state's most wealthy. "Do we really want to undermine our ability to serve our most vulnerable citizens at a time we can't afford it?" said Rich Huddleston, executive director of Arkansas Advocates for Children and Families. "Now is the wrong time to do this." The cut on the sales tax manufacturers pay for natural gas and electricity would cost the state $3.8 million in the coming year and $4.2 million the following year, according to the state finance office. It would reduce the rate from 3.25 percent to 2.75 percent. The panel also advanced legislation that would provide tax relief for head of household taxpayers with two or more dependents, a cut that would cost the state $3.7 million the coming fiscal year and $3.8 million the following year. That proposal is designed to fix a flaw in a 2007 law designed to substantially exempt families with children and incomes below the poverty line from state income taxes. The law did not provide comparable benefits for single parents with two or more children. Beebe has said there is little room in his proposed $4.6 billion budget for additional tax relief beyond a half-cent cut in the grocery tax that he's proposed for the coming year. His tax cut proposal would cost about $20.8 million. "I don't know where they want to cut it, but it's going to require some significant cuts because you have to a balanced budget," Beebe said. "We're not going to do like the feds. We're going to live within our means." The votes signal that lawmakers are prepared to move on the tax cut ideas abounding this year after a slow start to the session, which began Jan. 10. Republican lawmakers in the Democratic-controlled Legislature say they're eyeing part of the increased spending Beebe has included in his proposed budget as an area to cut to pay for their proposed reductions. A Senate panel could take up Beebe's grocery tax cut and a used car tax backed by that chamber's leaders as early as Wednesday. "They need to be vetted, not only in this committee, but on the House floor and in the Senate. We might as well start the process now," said Rep. Davy Carter, R-Cabot, chairman of the House panel. Tags: Arkansas, Governor, Mike Beebe, plantation politics, ruler, Arkansans, citizens, representatives, rights, States rights, To share or post to your site, click on "Post Link". Please mention / link to the ARRA News Service. Thanks! The US House has passed an amendment (233-198 ) to cancel F-35's alternate engine - the General Electric/Rolls-Royce F136 engine. The House also has passed (279-143) to extend for three months three expiring surveillance provisions of the anti-terrorism Patriot Act. It previously passed the Senate (86-12). The Senate resumed consideration of S. 223, the FAA reauthorization bill. Will vote on cloture on the pending Inhofe amendment addressing slots and flight times at Ronald Reagan National Airport. An amendment from Sen. Kay Bailey Hutchison (R-TX) concerning the perimeter rule for Reagan airport is pending to the Inhofe amendment. Senate Majority Leader Harry Reid (D-NV) wants to finish work on the FAA bill today. Two years ago, President Obama and the Democrat-run Congress passed their $814 billion stimulus bill, adding the entire tab to America’s debt. At the time, President Obama said, “It's a plan that will save or create up to 4 million jobs over the next two years.” Vice President Joe Biden bragged, “[T]his is about getting this out and spent in 18 months to create 3.5 million jobs and . . . tee this up so the rest of the good work that's being done here literally drop-kicks us out of this recession and we begin to grow again and begin to employ people again.” Senate Majority Leader Harry Reid (D-NV) asserted, “This bill creates 3.5 million jobs.” And then-House Speaker Nancy Pelosi (D-CA) claimed the “House-passed bill/Obama plan (HR 1) creates 3.7 million jobs.” On top of all that, Obama administration economists Christina Romer and Jared Bernstein predicted that the “unemployment rate with … the recovery plan,” would not exceed eight percent. So two years later, what have Americans gotten “with the recovery plan”? The unemployment rate remains 9%, still higher than what Romer and Bernstein predicted. Rather than creating 3.5 million jobs in 18 months, 24 months later millions of Americans have lost their jobs. Stimulus money went to countless projects Democrats touted as “investments” including $336,000 “to collect and document flowers and plants in Ohio”, $1 Million for a “nose job” for “The Sunset Strip,” $300,000 for “mapping radioactive rabbit feces,” $325,000 to study “the mating decisions” of female cactus bugs, and a $535 million loan to a solar panel maker that proceeded to cancel a factory expansion and then lay off over a hundred workers. Tags: Washington, D.C., US Senate, US House, FAA Bill, Patriot Act, F-35 Aircraft, failed stimulus, budget, unemployment, interest payments, national debt To share or post to your site, click on "Post Link". Please mention / link to the ARRA News Service. Thanks! Arkansas U.S. Representatives Steve Womack, Tim Griffin and Rick Crawford have joined 56 others as co-sponsors of Congressman Steve King of Iowa's bill, have signed onto immigration legislation seeking to halt the problem of so-called "anchor babies. They issued a joint statement, saying that automatic citizenship for a baby born in the U.S. to non-US parents encourages law-breaking and illegal immigration. All three Congressmen are veterans having served in the US Military. 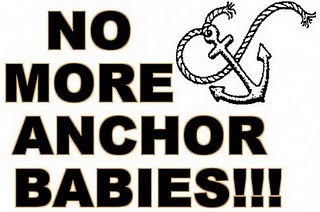 The present issue of "anchor babies" is not an issue based in the Constitution as many people believe. The issue rests in a current law. The King bill would change the present law that recognizes that babies born on U.S. soil and not removed from the US are American citizen except for certain situations. Situations like children born to parents residing temporarily in the United States but having an allegiance to another country. Imagine the children of a Communist leader visiting the US for a UN meeting or serving at their county's embassy being granted American citizenship just because their births happened to while they were in the United States. A major problem has occurred with the significant numbers of illegal aliens entering this country illegally and then having babies in the U.S. According to the Pew Hispanic Center, approximately 340,000 of the 4.3 million babies born in the United States in 2008 were the children of illegal aliens. The is also the problem of legal visitors entering our county for the purpose of having a baby. Also, significant numbers of visitors skip on their expired visas and do not returning to their home country. Many reside illegally in the US and also have children. This bill if passed would still allow babies born in the US to be citizens by birth on American soil only if at least one of the baby's parents is a citizen, a legal permanent resident, or an alien resident who served in the U.S. armed forces. Tags: Arkansas, US Representatives,Steve Womack, Tim Griffin, Rick Crawford, immigration legislation, Anchor babies, Steve King, Iowa, illegal aliens, illegal visitors To share or post to your site, click on "Post Link". Please mention / link to the ARRA News Service. Thanks! Today in Washington, D.C. - Feb 16, 2011 - Mitch McConnell: "I’ll tell you what’s extreme"
The Senate resumed consideration of S. 223, the FAA reauthorization bill. Roll call votes on amendments are expected today. Senate Majority Leader Harry Reid has filed cloture on the bill and on the pending Inhofe amendment concerning slots and flight times at Ronald Reagan National Airport. An amendment from Sen. Kay Bailey Hutchison (R-TX) concerning the perimeter rule for Reagan airport is pending to the Inhofe amendment. As reported yesterday, the Senate voted 98-0 to adopt an amendment from Sen. Ben Nelson (D-NE) making illegal the unauthorized recording or distribution of security screening images. 51 Democrats later voted to kill an amendment from Sen. Roger Wicker (R-MS) that would have prohibited TSA employees from joining unions. The same 51 Democrats susequently voted down an amendment from Sen. Rand Paul (R-KY) to cut FAA funding to 2008 levels. Also, the Senate voted 86-12 to pass H.R. 514, which extends through May three expiring provisions of the Patriot Act. While much of the discussion of President Obama’s unserious budget proposal this week has focused on its timidity, its “failure of leadership,” its unending deficits, and trillions of dollars in new debt, there are some other newsworthy aspects of it worth pointing out. Unveiling his budget Monday, President Obama said, “[W]e’re going to have to get serious about cutting back on those things that would be nice to have but we can do without.” But the president’s priorities seem out of touch. He’s already threatened to veto House Republicans’ continuing resolution that cuts tens of billions of dollars from this year’s budget. Yet the Obama’s plan for next year would then spend $359 million on IRS agents to enforce the tax hikes in his health care bill and another $15 million to sell a skeptical public on the unpopular legislation. I’ll tell you what’s extreme: extreme is to insist in the middle of a jobs and debt crisis that government has to spend a trillion dollars more than we take in every year. That’s extreme. Extreme is a view of the world that says government will not live within its means, even when the American people demand it. Extreme is a view of the world that says the survival of this or that program is more important than the survival of the American Dream itself. Extreme is telling our children they may have to do without because we refuse to do with less. Tags: National Debt, NFL, NFL 2011 Lockout, NFL Labor Dispute, NFLPA, Political Cartoons, Super Bowl, Super Debt, William Warren, Republican Study Committee, big government spending, Obama administration, To share or post to your site, click on "Post Link". Please mention / link to the ARRA News Service. Thanks! Important Legislation Moving Through the Arkansas Legislature . . . Tags: Arkansas, bills, Arkansas Legislature, To share or post to your site, click on "Post Link". Please mention / link to the ARRA News Service. Thanks! Simplicity. Taxes should be easy to administer and comply with, in order to encourage voluntary compliance and discourage tax shelters and disguised income. Transparency. Taxes should be obvious and apparent: they shouldn’t be hidden from consumers by being lumped in with the price of the purchased good. Neutrality. The tax code should not micromanage the economy, encourage people to make decisions for tax reasons, or otherwise distort price signals that affect individual choice. Stability. Constant changes in the tax code make planning and investment difficult. Economic growth and prosperity. A broad-based, low-rate tax best encourages job creation, capital investment, and economic growth. These values may seem abstract. However, their importance becomes more apparent when they are used to rank the tax proposals of the 88th General Assembly. Tax cuts limited by area or time are inferior. They score poorly on neutrality, simplicity, and stability. For instance, a sales tax holiday on selected consumer goods (HB 1369) appears to have very little impact, except that people buy more untaxed goods during the holiday and correspondingly less when the holiday is over. There appears to be no evidence that a sales tax holiday improves the economy or increases purchasing power in the long term. Similarly, measures like HB 1118 that are designed to improve the fortunes of a particular business or economic sector are often ineffective. For instance, the film tax credits that Arkansas wrote into law two years ago, which were intended to spur film production and job creation, will likely have the same result as Louisiana’s: a recent Louisiana state government study found that every dollar the state lost in film tax credits was replaced with about 18 cents of tax revenue, making the credit a large revenue-loser. Proposals that benefit small groups are inferior. Legislators have introduced many measures to provide credits or exemptions to particularly admired businesses, causes, or people, such as individual nonprofits (HB 1137), certain spouses of military personnel (HB 1314), volunteer firefighters (SB 152), and stay-at-home parents (HB 1025). Although lawmakers’ intent is doubtless praiseworthy, proposals that benefit small groups score poorly on neutrality, simplicity, transparency, and fostering economic growth. For example, there is no economic difference between giving a volunteer firefighter a $100 state grant and a $100 tax credit. But there are huge political and fiscal differences: estimates of the effect of tax cuts on revenues are notoriously inaccurate, and state legislators don’t have to account for revenue loss in the way that they bear responsibility for increased spending. Provisions in the tax code that act as subsidies are easily hidden or overlooked. Fiscally responsible lawmakers will accept the responsibility of budgeting for their preferred special-interest expenditures by openly and honestly paying to cut checks to them from the state budget. Policymakers who want to use the tax code to help small groups or redistribute wealth should consider the more efficient and transparent alternative of direct payments or grants. Proposals that create or expand consumer exemptions are inferior. If advocates of shrinking the sales tax on food (HB 1389, SB 276) want to help the poorest of the poor, cutting the food tax is a misguided way to accomplish it. The poorest of the poor receive a direct food subsidy: food stamps. Treating food differently from other purchases can create costly and complex administrative problems; it does very little to encourage investment and job growth in Arkansas. Rather than narrowing the tax base by shielding some purchases from taxation, a better policy option is a broad-based sales tax with a lower rate. Legislators who want their values of equity or redistribution written into state law should consider the possibility that there are more effective ways to accomplish these goals than increasing the complexity of the state tax code. Expanding the food stamp program would be an economically superior, less distortive way of helping the poor than cutting sales taxes on roughly one-fifth of all consumer purchases. Because it scores poorly on simplicity and economic growth, food tax relief is therefore not at the top tier of preferable tax relief. CONCLUSION: Lawmakers who support economic development in Arkansas should focus on creating a pro-growth tax code. A state’s tax policy is the most direct, immediate way to foster economic development and attract the capital investment which creates more jobs. Directly subsidizing new businesses runs the risk of picking losers instead of winners, which leads only to wasted taxpayer money and disused facilities. Improving education, while worthwhile, might take a decade or two to produce appreciable results. In general, higher-quality public services can fall victim to citizen mobility: it is not much of an exaggeration to say that many of Michigan’s current economic problems can be traced to former Michigan residents who have attended its top-tier universities and then used its top-tier roads to escape its top-tier taxes, instead moving to states with top-tier jobs. Except for certain poverty exemptions, all economic activity should ideally be taxed at the same rate. Arkansas tries to do this for agricultural goods, fails to do this for industrial goods when it loads on the double taxation discussed above, and introduces further distortions in its wide array of deductions, credits, and varying sales tax rates for consumers. Simplicity in the tax code will shrink administrative costs and economic distortions, increase revenue, and lead to economic growth. Above all, policymakers should resist temptations to narrow our tax base or raise our tax rates. In short, the foundation of tax reform that will help Arkansas is a simple, open, stable, and neutral tax code that establishes a broad tax base and a low tax rate. Lawmakers who want to bring job creation and economic growth to Arkansas should look to the tax policy of successful regional competitors like Texas, Tennessee, and Florida. Notably, those job-creating economies are entirely unsaddled by a state income tax. Specific legislation mentioned in this paper is cited only to demonstrate what some particular policy might look like in legislative form. The Advance Arkansas Institute does not support or oppose any particular legislative proposal. Tags: Dan Greenberg, Advance Arkansas Institute, Arkansas, cut taxes, basic principles, tax policy, legislation To share or post to your site, click on "Post Link". Please mention / link to the ARRA News Service. Thanks! Tags: President Obama, national debt, interest on debt To share or post to your site, click on "Post Link". Please mention / link to the ARRA News Service. Thanks! Yesterday, the Senate confirmed two district court judges. Today, the resumed consideration of S. 223, the FAA reauthorization bill. The Senate voted 98-0 on an amendment from Sen. Ben Nelson (D-NE) criminalizing the redistribution of TSA screening images. However the Senate defeated 47-51 an amendment by Sen. Roger Wicker (R-MS) which have prohibit TSA employees from joining unions. President Obama’s budget will destroy jobs by spending too much, taxing too much, and borrowing too much. 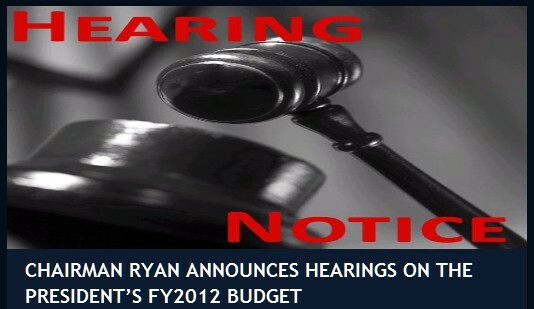 His budget calls for more failed ‘stimulus’ spending, and job-crushing tax hikes on families and small businesses. It borrows more from countries like China and crowds out private investment that creates jobs. This isn’t winning the future, it’s spending the future. “Republicans are focused on creating a better environment for economic growth and job creation. This week, I sent the president a statement signed by 150 economists calling for spending cuts to help reduce uncertainty and get our economy back to creating jobs. This week, we will go beyond our Pledge to America and cut at least $100 billion in discretionary spending over the next seven months by comparison to the president’s FY11 budget request, rather than doing so over the course of a full fiscal year. There are more cuts to come, in contrast to the Obama Administration’s request to increase the national debt limit and keep the spending binge going. In the coming weeks, Chairman Ryan will offer a comprehensive budget for the next fiscal year that will contrast sharply with the president’s job-crushing budget. Tags: Washington, D.C., US Senate, US House, President Obama, budget, More Taxes, More Spending, More debt, budget hearings To share or post to your site, click on "Post Link". Please mention / link to the ARRA News Service. Thanks! A Debt That Cannot Be PaidBy Bill Wilson: On Feb. 14, Barack Obama submitted his ten-year budget from the White House Office of Management and Budget (OMB). With a straight face, he said of the proposal, “[W]e’re going to have to get serious about cutting back on those things that would be nice to have but we can do without.” Obama explained, “That’s what families across the country do every day — they live within their means and they invest in their family’s futures. And it’s time we did the same thing as a country. That’s how we’re going to get our fiscal house in order.” Again, all with a straight face. Unfortunately, Obama does not propose doing “the same thing” as families do every month, which is actually balance the budget. In fact, under his plan, the budget will never be balanced. The national debt, now $14.1 trillion, will never be repaid. It will continue to grow into perpetuity, as it has every year since 1958. Even under the rosiest of scenarios projected by the Obama Administration, the debt will be growing faster than the economy and be larger than the economy — for the foreseeable future. By 2021, under the Obama budget, the national debt will balloon to $26.3 trillion from its current level of $14.1 trillion, an 86.5 percent increase. The Gross Domestic Product (GDP), on the other hand, will only grow by 69 percent during that same time frame to $24.896 trillion. This year alone, the national debt will grow to $15.4 trillion, larger than the entire economy for the first time since World War II. Thereafter, the debt-to-GDP levels will stay above 100 percent, growing every single year. If spending is not cut drastically and the debt paid down at fixed intervals like a mortgage payment, one day the debt will become too large to service, let alone be paid down. Net interest alone will be $844 billion annually by 2021, a number that will easily double by 2030, if not triple. But even that number hides the full amount of interest that actually must be paid on the debt. “Net interest” as reported by the government does not include the amount of interest paid into the Social Security, Medicare, and other government trust funds, according to an obscure spreadsheet released by OMB entitled, “Outlays for Mandatory and Related Programs: 1962–2016”. For example, in 2010, the government reports that $196 billion in “net interest” was paid. What it does not readily mention is that in 2010, the Treasury actually paid out $413 billion in interest. $216 billion went into the trust funds, but were subtracted out from the deficit, even though they essentially added to the debt. And even though it is a real obligation that must be paid. This accounting gimmick allows the government to underreport the real budget deficit every single year and simultaneously count the trust fund interest payments to Social Security and Medicare solvency. House Budget Committee Chairman Paul Ryan had a similar objection to $500 billion in Medicare cuts from ObamaCare being counted twice by the government to make its numbers look better. Of course, nobody believed ObamaCare’s claims to being deficit-neutral. And nobody should believe the government’s similar claims that these interest payments can be controlled. Right now, this financing challenge for the Treasury is currently met only by borrowing ever more money. That the challenge is understated by their own government should be alarming to most Americans. In reality, the total interest owed will actually be over an eye-popping $1.2 trillion in 2021. And since the government never anticipates the debt being paid down, the number will easily grow to over $2.4 trillion by 2030. Again, that’s a real obligation that must be paid — every year. But eventually, we will not be able to pay it. What nobody can say for certain is where the tipping point is. But what is certain is that no system can be sustained that always spends more than it takes in and never repays any debt. It has never happened in history, and it never will happen. That is why Congress must consider real proposals to significantly reduce the deficit and pay down the debt, before these numbers become reality. Because once they do, and once the debt becomes so large that it cannot be serviced, the U.S. will default on its obligations. Will we default at 100 percent of debt-to-GDP? 200 percent? 300 percent? Again, it is hard to say when it will happen, but it is certain that we will eventually default on this trajectory. It is through this lens that all spending proposals must be judged, whether from Obama or congressional Republicans. Does the proposal avert the now-inevitable default? Does it prevent the debt from growing by leaps and bounds? Does it include a repayment plan? So far, no serious plan answers those questions. But those are the questions that Americans across the country can easily answer about their own family budgets. They are not in danger of default, because they reduce their debt load every year and make their payments on time and in full. That, in fact, is “what families across the country do every day” and what government has not been able to do for more than a generation. Americans really do want a government that can live within its means. But that is not what Obama is offering. If his budget is not brought under control soon, it will reduce the standard of living for every American family. When the house of cards comes tumbling down, the dollar will collapse, interest rates and taxes will soar, and it will be perfectly clear that the debt cannot be paid. Tags: National Debt, Obama, Obama Rhetoric, Political Cartoons, Valentines Day, Washington, Spending Addiction, William Warren, Bill WilsonTo share or post to your site, click on "Post Link". Please mention / link to the ARRA News Service. Thanks!